The all round, balanced chocolate ready to do great in any job. One of the authentic recipes created by Octaaf Callebaut, recipe n° 811 has grown into one of Callebaut®'s iconic chocolate recipes. Like all Finest Belgian Chocolates, it is made from our signature ‘Wieze cocoa blend’. Whole bean roasting guarantee its full taste with a solid cocoa body and fine top notes. 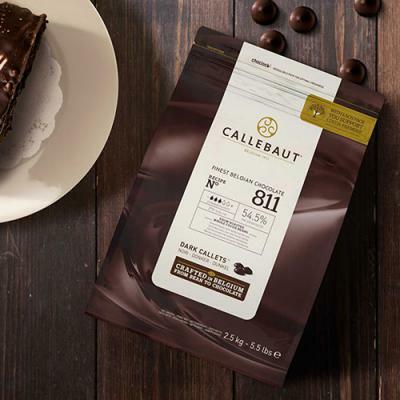 Loved by chefs all over the world, the 811 is Callebaut’s all-round chocolate for confectionery, ganaches, mousses, biscuits, sauces, drinks and many other applications. It’s simply made to help you achieve perfect end results every time.